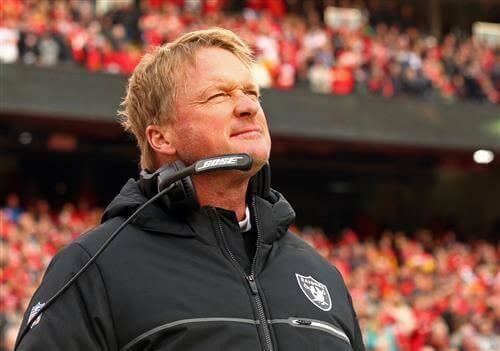 Four more spots in the 2019 NFL Draft order were set with the weekend’s results, and the Raiders now know exactly where they’ll be making their three first-round picks. The Eagles slotted into the 25th spot in the order after yesterday’s loss, followed by the Colts, Cowboys and Chargers. The final four picks will go to the losers of next week’s conference championship games, then the Super Bowl loser and the champion. And since the Cowboys traded their pick to the Raiders in the Amari Cooper deal, the Raiders are now sitting on the fourth, 24th (from the Raiders in the Khalil Mack deal), and 27th in the first round.